Lou is a retired elementary school principal, school social worker, and special education coordinator. He has also held executive positions in the field of child welfare. He maintains certification as a Licensed Clinical Social Worker. 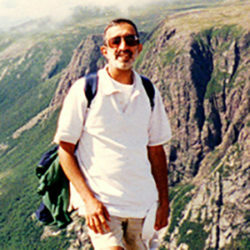 Early in his career, Lou was a high school biology and environmental science teacher. He also worked as a research assistant for the Washington, D.C.-based, Center for Science in the Public Interest. Lou earned his B.A. in Biology and Philosophy from Loyola University Chicago, where he also completed his Master’s in Social Work. His Graduate Certificate in Educational Administration is from Northeastern Illinois University. Lou was a member of the No Barriers Board from 2003 through 2014. He served on committees for legal issues, finance, and board development. He has contributed his knowledge and experience in areas of education and child welfare, staff and curriculum development, and human resource policy. Lou has a strong personal commitment to the values of environmental education and travel, service to others, and multicultural experience for young people.